China has many holidays that most Westerners have never heard about before. 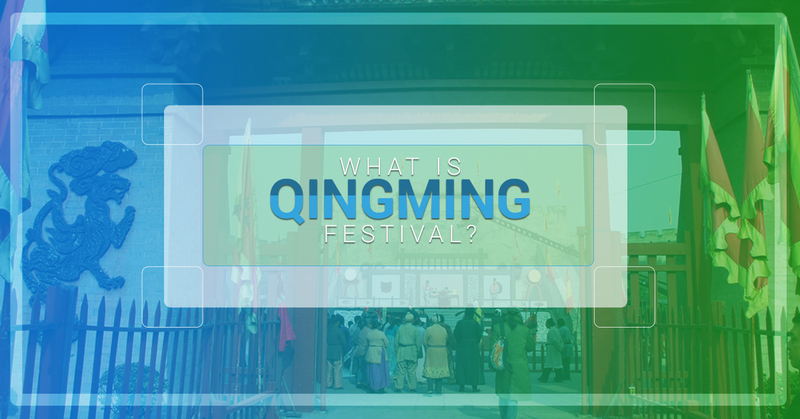 One of them is Qingming Festival, otherwise known as Tomb Sweeping Day. This day is an official holiday in China and occurs on either the 4th or 5th of April, depending on the lunar calendar. Qingming is a day to remember relatives that have passed on and some people do actually go and sweep their ancestor’s tombs on that day (or at least clear away the weeds). Others may leave the broom at home and just bring flowers or other tokens of their respect. Many Chinese believe their dead ancestors live in the spirit world with gods who have the ability to influence things in the physical realm. They pay their respects at their tombs each year in hope that their dead relatives will bless them and bring them good luck. Many Chinese people work in big cities away from their original birthplace. Since it’s not a long holiday, many won’t have the chance to return home. The burning of ghost money, also known as joss paper, for their ancestors to use in the afterlife can be done anywhere. For those who don’t believe in the afterlife, Qingming is a welcome day off from the hustle and bustle of life in China. Early April is the best time of year to see budding flowers such as cherry blossoms, peach blossoms and magnolias. Although, since everyone else has the day off of work as well, it may not be the best day to venture outside unless you like crowds. Regardless of what you end up doing during Qingming Festival, it’s a good time to take pause and remember loved ones who have passed. In China, especially, paying respect to your elders and ancestors is extremely important. If you have any questions about Chinese holidays or China life, contact us.